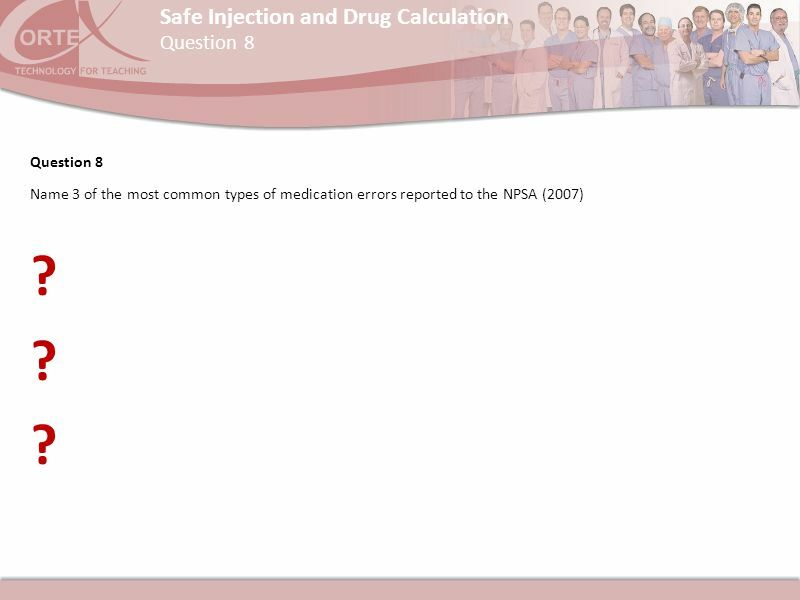 2 Answer 1 Answer 1 Injections are invasive. 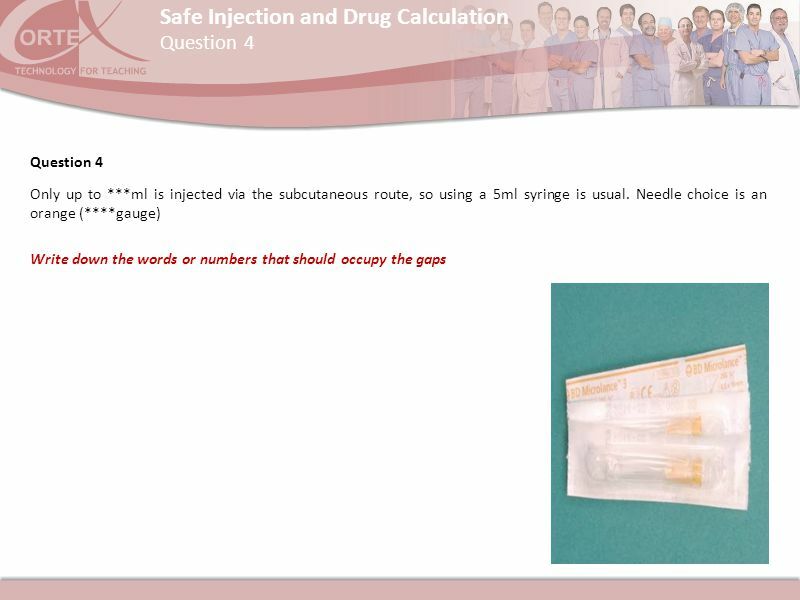 3 Question 1 Question 1 Injections are invasive. 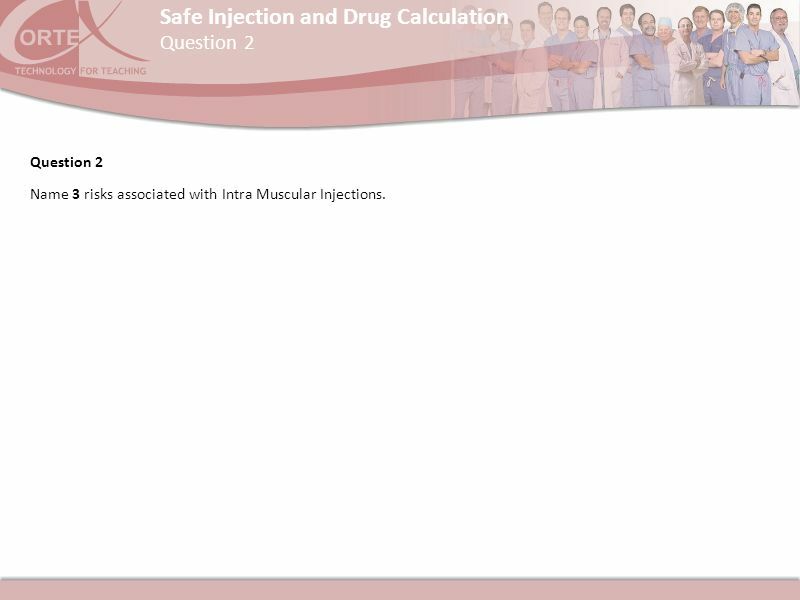 4 Question 2 Question 2 Name 3 risks associated with Intra Muscular Injections. 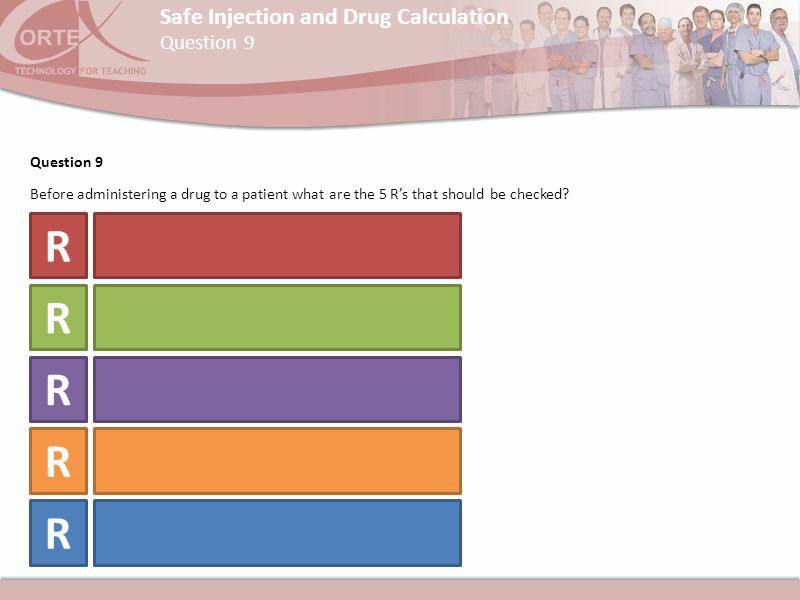 6 Question 3 Question 3 There is some debate about the necessity to cleanse the skin before administering an I/M injection. If we do decide to cleanse what is important to remember to do (regarding the effectiveness of the swabbing) before we actually deliver the injection? 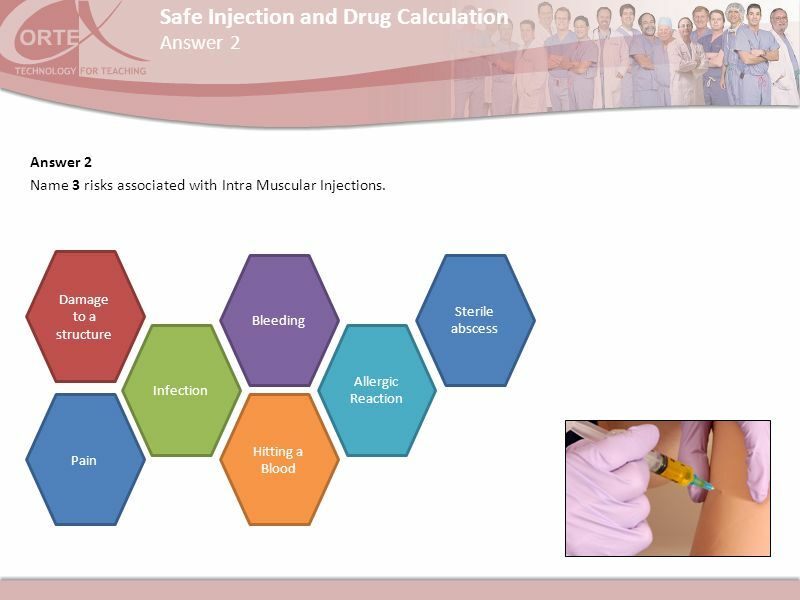 10 Question 5 Question 5 The deltoid area can be used for a variety of injections. A useful landmark is the area 2cm below the acromial process. What type of injection, Sub Cut or I/M can be sited in this region? 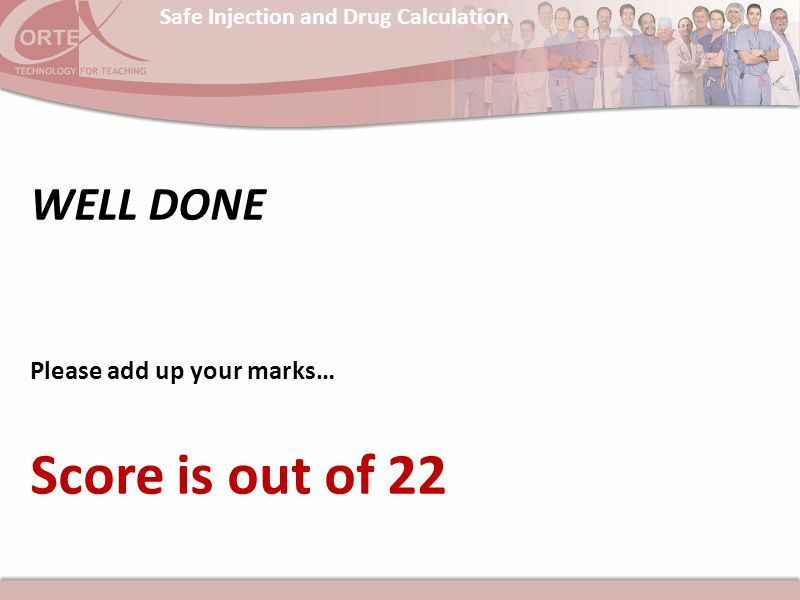 12 Question 6 Question 6 Which injection site was, and sometimes still is, used extensively for deep I/M injections? ? Name two potential risks to the patient associated with giving an I/M injection at the site mentioned above Which injection site is now the preferred option for deep I/M injection? Which injection site is now the preferred option for deep I/M injection? VENTROGLUTEAL SITE This is a safer option which accesses the gluteus medius muscle. It avoids all major nerves and blood vessels, and research reports no contraindications. The area also has the benefit of having a relatively consistent thickness of adipose tissue (3.75cm) compared with 1-9cm on the dorsogluteal site. 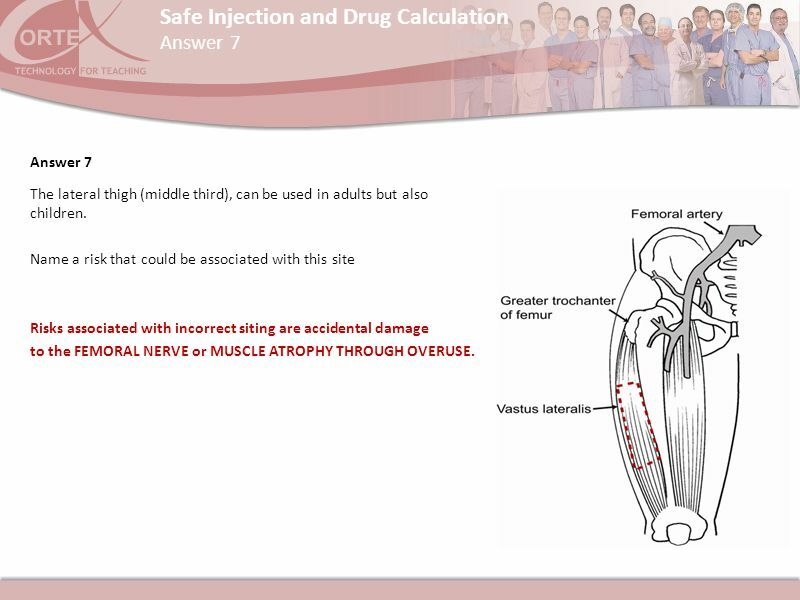 The patient can be prone, semi-prone or supine for using this injection site. 17 Answer 7 Answer 7 The lateral thigh (middle third), can be used in adults but also children. 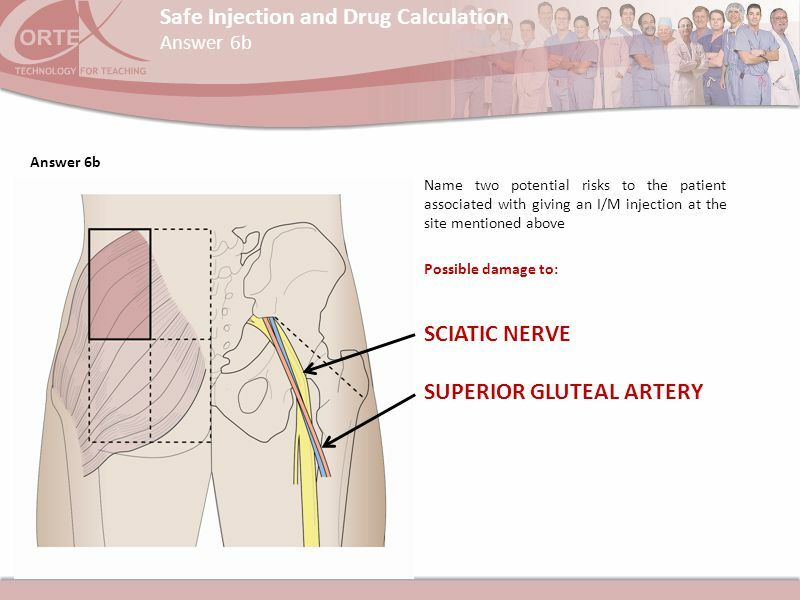 Name a risk that could be associated with this site Risks associated with incorrect siting are accidental damage to the FEMORAL NERVE or MUSCLE ATROPHY THROUGH OVERUSE. 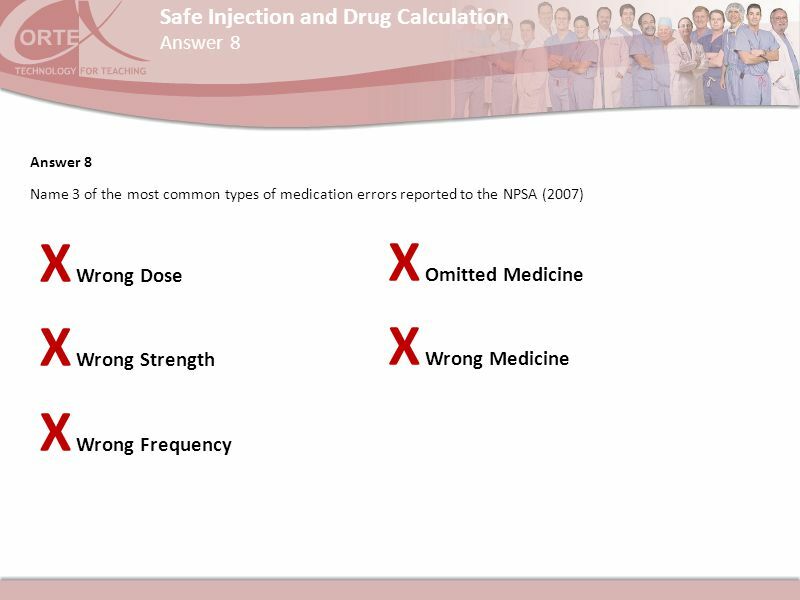 18 Question 8 Question 8 Name 3 of the most common types of medication errors reported to the NPSA (2007) ? 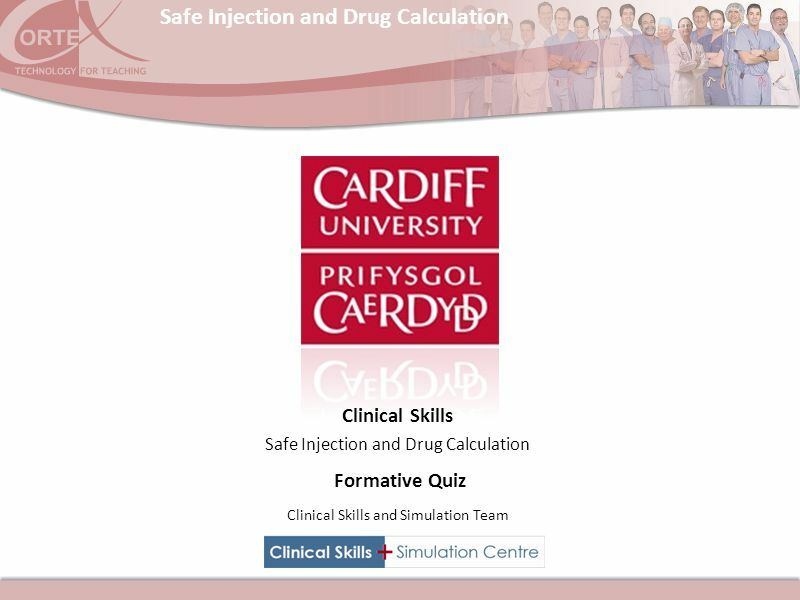 Download ppt "Clinical Skills Formative Quiz"
VACCINE ADMINISTRATION “TECHNIQUES AND GUIDELINES “ from The Centers. UNION HOSPITAL EMERGENCY DEPARTMENT FEBRUARY 2013 The ABC’s of IM Injections. PART C: ADMINISTRATION OF TOPICAL AND INHALANT MEDICATION. Indications:  Where IV administration is not available.  Drugs with specific actions on muscles.  A longer half life is needed eg. Morphine for anaesthesia. Injection Techniques Aim To gain the knowledge and skills required to safely prepare and administer intramuscular and subcutaneous injections to children. Chapter 10 and 11. Parenteral Administration Equipment –Syringes Syringe consists of a barrel, a plunger, and a tip. Outside of the barrel is calibrated. ADMINISTERING MEDICATION BY INJECTION SUBCUTANEUS INJECTIONS (s.c.) Bc. Marie Bártová Institute of Nursing Theory and Practice 1 st Medical Faculty of.  Union of the anterior primary divisions of C5-8 and the T1 nerve. › C4 and T2 may contribute as well.  Roots  Trunks  Divisions  Cords  Terminal.